Why is the Microsoft Windows store so bad? Really, should you use it? Microsoft is introducing new features with every new Windows 10 update. Though one of the not so used features or services of Windows 10 is the Microsoft Store. But there are some power users, who take the advantage of Microsoft Store. But I have also seen a number of users, who don’t even know the Microsoft Store exists. 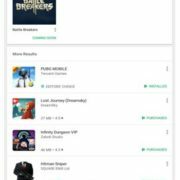 But they use the Google Play Store provided by Android or the App Store provided by Apple extensively. Most users think the Microsoft Store, which comes pre-installed with Windows 10 is not that good. Yes, it has a bad history and didn’t fulfill the expectations, when it was first launched in Windows 8. The Microsoft Store aka. Windows Store in Windows 8 had a good number of apps, but it wasn’t widely accepted by the users. There were reasons. The biggest reason being the unavailability of the most popular apps on the Store, and its limited choices. Even if the users were happy with the limited choice of apps, another big disadvantage was the opening of the apps in the full-screen mode. Even Android introduced the split window feature in Android Nougat. 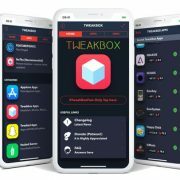 But at that time, the apps, which were downloaded from Windows Store had to be opened in a full-screen window, kicking away the possibilities of working with multiple apps at the same time. Thus, there are disadvantages with the Windows Store in the Windows 8 and 8.1 era. But, the Microsoft Store in Windows 10 is a lot better than its predecessor. It is due to its bad history, most users avoid migrating to the Microsoft Store is the primary source of apps for everyday usage. But is it a good idea to download apps from the Microsoft Store? In 2018, downloading apps from the Microsoft Store is like getting both the head and tail of a coin. Before talking about the advantages, it will be a good idea discussing the disadvantages or the problems, you might face by downloading your primary apps from the Microsoft Store. There are a number of paid apps on the Microsoft Store. If Microsoft finds, the App Store is not getting a good response from the user, they might discontinue the service. In such cases, all your purchased apps will no longer be available for you. 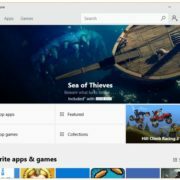 Thus, I will not recommend you to not purchase any app or any other paid software from the Microsoft Store before Microsoft Store stands out to be unique app platform for Windows. The apps, which are downloaded from Microsoft Store still has some bugs. Thus, if you want the best experience without the need of facing any kind of hassles with your everyday activities, Microsoft Store apps is not that good as of now. But Microsoft is always working on improving the Microsoft Store for a better user response. I being a user of Windows 10 face issues almost after every Windows 10 update. Most users do face the same thing. If you are among those guys, who get overwhelmed over such issues, and make your mind of switching back to an older version of Windows, you can no longer use the apps, as they are not supported Windows 7 and only a few are supported on Windows 8 or 8.1. The choice of browsers on the Microsoft Store is quite limited. That is something which I certainly dislike. 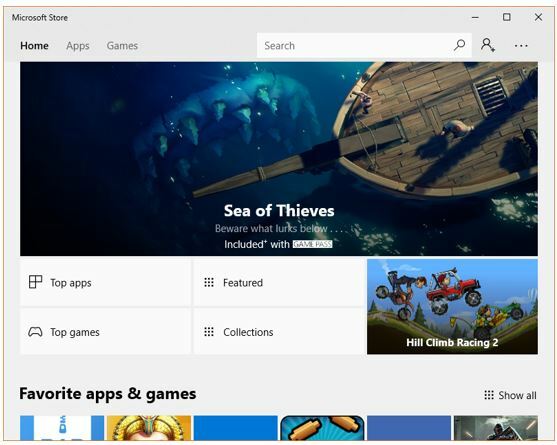 Apart from that, most big names like Google, Adobe or Steam do not offer its best apps and games on the Microsoft Store. That might be a business policy, but it is somewhat bad from the end user’s point of view. I wish they are available in future. That was all about the cons or the problems you might face by downloading or purchasing apps from the Microsoft Store. But there are numerous advantages as well, if you download, if not purchase apps from the Microsoft Store. Let’s find them out. There was never a unified place for downloading Windows apps. But with Microsoft Store, there is one. Downloading apps from unknown sources might come with malware, while the apps on the Microsoft Store offers a better level of safety over downloading apps from other sources. The apps from third-party sources sometimes install multiple executables, which in most cases do nothing, and engage space on the hard drive. But one app from the Store installs only a single app and that is great. Uninstalling an app from a different source involve a number of steps. Sometimes they can’t even be uninstalled completely. But you can uninstall apps downloaded from the Store with a just right click, and then ‘Uninstall’. Yes, even a yesterday’s computer user can do that. Most Windows apps downloaded from different other sources get updated without notifying the user or at the time when the user is busy doing something important. But with Microsoft Store apps, the updates will only be done, whenever you want to do that keeping the mess away. The Microsoft Store apps give the details about the permission it requires beforehand. After checking the permissions, you might take the decision of whether to download the app. But apps from other sources doesn’t disclose the complete details about the permission it requires, which might take user’s data for suspicious reasons without notifying. Today, you can always find a number of great apps on the Microsoft Store. Thus, the choices are no doubt improved. It is always a good idea to download those apps from the Microsoft Store which are available. If a particular app, which you use is not available, you can always download it from any third-party website. On Microsoft Store, you can even download add-ons for Microsoft Edge, which is one of the best browsers on Microsoft Windows nowadays. Thus, if you are using Windows 10 S and have no other options other than using Microsoft Edge, you can always download a plethora of add-ons for your browser. Microsoft Store is no longer the Store for downloading apps and browser add-ons. You can even purchase your favorite hardware, your favorite movies, music or any other content directly from the Store. It makes Microsoft Store a full-fledged Store to get almost anything for your appetite. They were all about the advantages of the Microsoft Store at present. So, Microsoft Store at present is not at all bad, at least in 2018. Downloading or purchasing one app from the Store will also make you eligible for running the same app on other devices, in most cases. Thus, if you’re not into purchasing a lot of apps from the Microsoft Store, you can always use Microsoft Store to download those apps, which are necessary for you. I found a number of apps on the Microsoft Store, which I use regularly, and use it for better security. Thus, downloading available apps from the Store, and other apps from third-party sources can help you get the best of both worlds. What is your view of the apps and content, which you can get from the Microsoft Store? Surely let me know about it in the comment section down below.